Norwell, Mass. 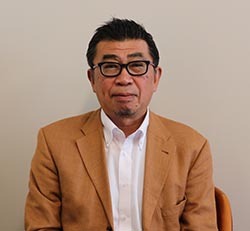 – Maruho Hatsujyo Innovations (MHI) – the U.S. subsidiary of Maruho Co. Ltd, a Japanese healthcare company with subsidiaries in Europe and the U.S. with global sales of $800 million – has promoted Hideo (Harry) Yonenaga to the position of President, Medical Packaging Machinery Division. MHI’s Medical Packaging Machinery division distributes the Osaka-based Maruho’s state-of-the-art blister packaging machines, which have been specially modified to meet the exacting demands of the US market. As president, Mr. Yonenaga will assume full business responsibility for the growth and expansion of MHI’s advanced line of blister packaging machines, which includes the EAGLE-Rx, the EAGLE-Uni, the EAGLE-Max, the EAGLE-Pro & EAGLE-Pro(s), and the EAGLE-Omni. Prior to assuming the presidency, Mr. Yonenaga was the general manager of MHK’s overseas business promotion division. Before joining MHK, he served as Business Division Head for the Panasonic Corporation Storage Data Archive business and, prior to that, served in the broadcast and AV production industry within Panasonic Corporation that included stints in Asia/Pacific and Europe.